Steven Van Belleghem studied applied economics at the University of Ghent. His summers were spent specializing in marketing at UC Berkeley. His core expertise is the future of customer centricity. 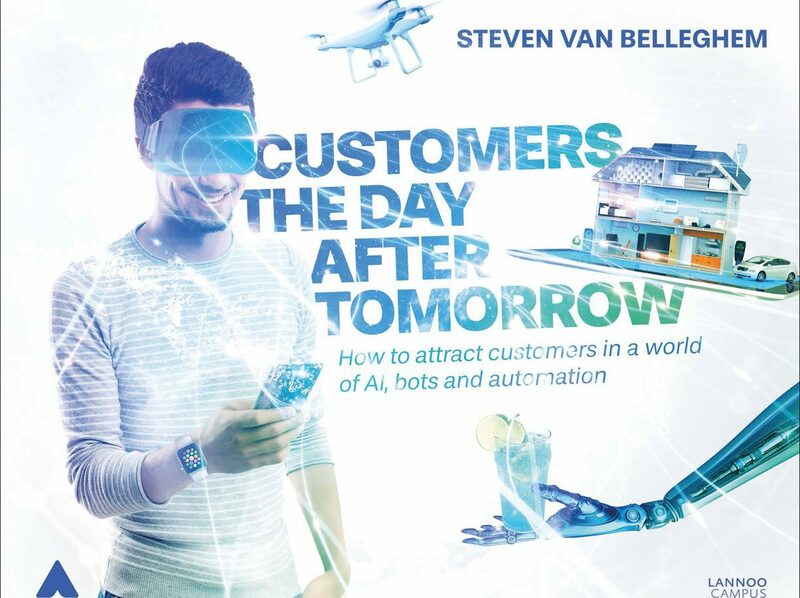 The combination between customer-centric thinking, the latest technologies and the human touch is the guiding principle in Steven’s stories. agency Intracto and AI scale-up Hello Customer. In addition to his entrepreneurial activities Steven is also a part-time marketing professor at the Vlerick Business School. Steven has authored four international bestsellers and has sold more than 120,000 books. His work has been translated into seven languages and he is the recipient of a variety of awards (most innovative marketing book, best marketing book, best international business book). Customers the Day after Tomorrow is a story about the future of customer relations in a world of artificial intelligence, automation and bots. In this book, companies find out what the investment axes are to win the heart and business of customers in the next five to ten years. There is an urgent need for an extreme transformation of the customer relationship. Customers live in a world of self service, big data, customer automation and the integration of the online & offline world. If your organization fails to implement the digital relation, your future becomes very uncertain. Succeeding in the digital transformation will not be enough. As a consequence of the digital evolution, there is also a need for the human transformation of your customer relationship. Thinking about the role of humans versus machines, thinking about the role of the warm human touch and considering the power to connect people with people, are the key challenges in this domain. 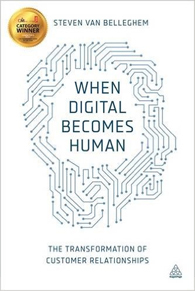 ’When digital becomes human’ is a story about the combination of the digital and the human transformation in your customer strategy. This story will take you on a journey to the future. It is provocative, exciting and scary. Enjoy this amazing view on the future of marketing! When digital becomes human received the award for ‘Best Marketing Book of 2015’. The Conversation Company will help your organization become a business in which people are the key driver of growth, sharing engaging content and building the company’s culture and business objectives. People now expect any brand to have a ‘human’ face and you need to define a clear set of values for both employees and customers, incorporating them in your marketing so that all company communication reflects the DNA of your organization. 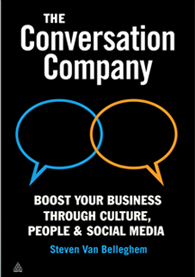 The Conversation Company is a story about company culture, the power of word-of-mouth and the role of social media in your organization. Mobile devices, new digital technologies and the increasing popularity of social media all contribute to the ever-growing gap between internet-savvy consumers and traditional means of advertising. With the old tried-and-fall behind, need to find novel ways to engage with the new-sprung breed of consumers. To do this, learning to listen and communicate with your consumers is critical. 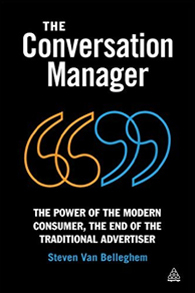 Based on four years of primary research, the Conversation Manager explains the evolution of the modern consumer and clearly demonstrates why traditional advertising no longer works. Illustrated with an extensive number of examples of advertising campaigns, this book is full of practical tools to help you transform your company strategy and kick-start conversations with your customers.